We developed the Click & Pledge Connect plugin for organizations to host our payment forms on their WordPress websites. With this plugin, an organization’s website administrator can create a Form Group through which they can add one or more forms in a group based on start and end date. When the form group is created, the plugin will provide a “Short code” that can be copied and placed in WordPress pages/blogs/posts. The connect form will be responsive even if the Organization’s site is not responsive. HTTPS Protocol Highly Recommended. All Click & Pledge forms, standalone and embedded are completely secure. That being said, we still highly recommend that any Click & Pledge form you embed on your website be on an HTTPS webpage for 2 reasons. It will ensure your patron understands your payment page is secure. Some web browsers, like Google Chrome, will flag your page as 'Not Secure' if it is not an HTTPS page. Click & Pledge Connect plugin supports WordPress 4.7 and above. This plugin also requires the PHP extension SOAP to be installed and configured on the server where the website is hosted. If you do not have this extension, contact your website hosting provider to add it. For more details click here. Download Click & Pledge Connect plug-in directly by clicking here. By clicking the provided link, a .zip file will be downloaded. Login to WordPress, go to Plugins Tab > Add New > Upload Plugin > Choose File – Select the .zip file to upload. Once you see that the plugin is installed, click on [Activate] button. 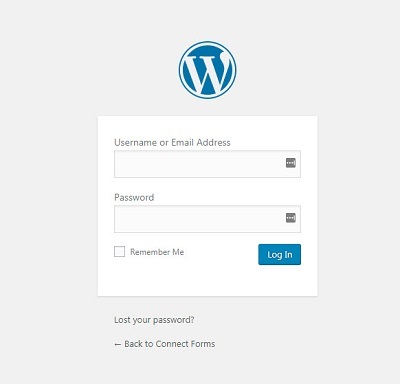 Login to WordPress, go to Plugins Tab > Add New > Search ‘Click & Pledge Connect’ > Click ‘Install Now’. Once you see that the plugin is installed, click on [Activate] button. Step 2: To download Click & Pledge plugin, see the Downloads section (Scroll up to see the Downloads in this document). If you don’t see an [Activate] button right after the installation of the plugin, go to ‘plugins->Installed Plugins’ activate ‘Click & Pledge Connect’. Step 3: Go to Settings of Click & Pledge Connect plugin to create a new account. Enter the Click & Pledge Account Number and Account GUID and click ‘Verify’. After successful verification, you will see the Nickname of the C&P Account. To change the Nickname, login to Connect (Launcher > Settings > Account Information > Nickname). Click Save to view the newly added C&P Account in the list. NOTE 1: If the Nickname is changed in Connect after adding the C&P Account in WordPress, click the ‘Refresh’ button to update. NOTE 2: If SOAP extension is not installed or configured on your server, this step will show an error. See the above “Support” section for more details. NOTE 3: Once the Account information is added, additional menu items (Form Groups and Add Form Group) will appear. 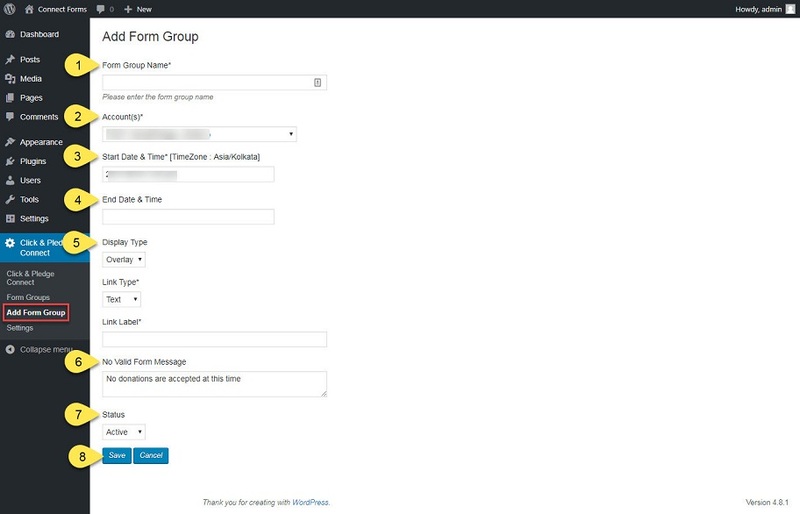 Step 4: Creating Form Groups. Form Group Name*: Enter the form group name. If the entered group name already exists, (groups have the same name and short code) the group that was added last will take precedent. Account(s)*: Select the C&P Account from the drop-down menu. NOTE: The drop-down will be disabled if only one C&P Account is integrated. Start Date & Time*: Enter the start date of the form group. Form group may start with past or future dates. 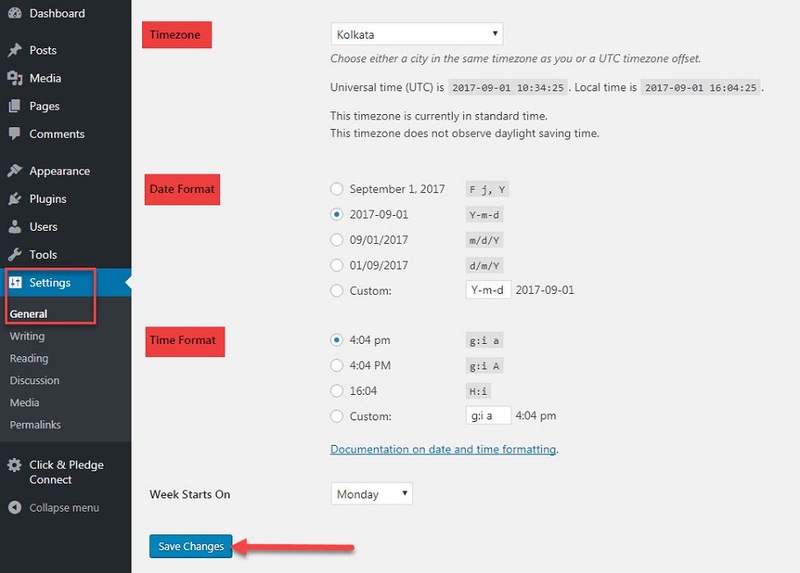 NOTE: Date & Time formats and Time zones can be modified in the WordPress Settings > General. End Date: Enter the end date of the form group. This is not a mandatory field. If this field is empty, the end date of Connect forms you have added will take effect, and the short code will expire on form end date. Display Type: Select either Inline or Overlay from the dropdown menu. 5a. Inline: The selected Connect form will appear in the web page. It will automatically adjust the size of the form so it fits within a page of your website. 5b. Overlay: The selected Connect form will appear when a link is clicked. The link can be in the form of Text, Button, or an image. In this case the Connect form will open on the same page as an overlay..
5c. Link Type: By selecting the display type as Overlay, you will be asked to choose the Link type. Link type may be a text, an image or a button. 5d. Link Label: You can customize the selected link type label. No Valid Form Message: The message entered here will appear in case the form is unavailable. Forms may be unavailable if either the Account, Form or Form Group have expired. Status: Select ‘Active’ as status to see the added forms in the web page. Select ‘Inactive’ as status to hide the added forms in the web page. Click ‘Save’ after entering all the details in the form group. Step 5: By clicking on ‘Save’ button, a new section will appear showing the campaign details which you have already created in Click & Pledge Connect. By selecting the Campaign Name and the form, the form GUID will automatically appear along with the Start Date. To add a second form, you need to select an end date for the first form. Click ‘Save’. NOTE: Minimum of one form should be added. The second form’s start date will be the first form’s end date which means that the second form will be active only when the first form has ended. Step 6: By clicking the 'Save' button, you will be redirected to the Form Groups page where you will see the list of added form(s) along with the existing form groups. Based on the given form group name, Short Code will be generated. NOTE: Status will be changed to ‘Expired’ when the End Date of the form is reached. Step 7: Copy the Short Code and click 'New Page' under Pages section. Enter the page name. By entering the page name, an auto-generated permalink will appear below the page name field. You can click ‘Edit’ to change the permalink. Paste the Short Code in the body of the page. You can add more information or instructions to the page above and/or below the code. 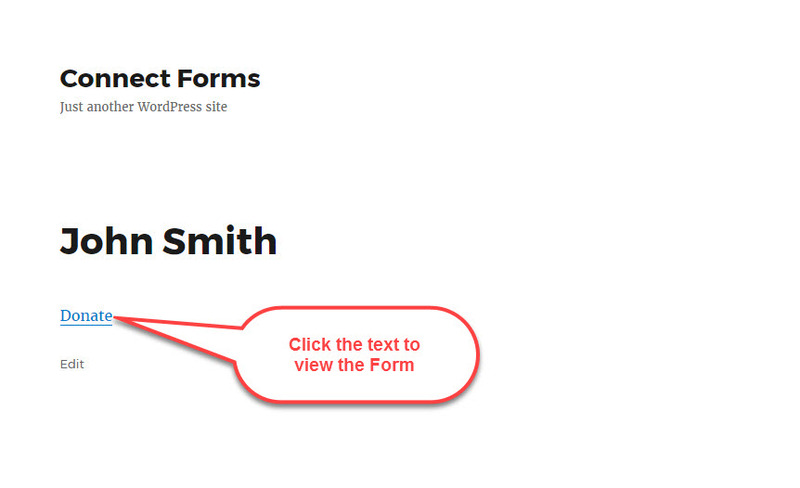 Click the Permalink to see the added page with the form. Follow the same procedure for creating blogs/posts or any content type. Below is an example page with the button option. NOTE: Questions? Submit them to the Click & Pledge Connect Forum.